How To Put Your Ego in It’s Place! Note: I refer to the voices in our head as our ego. My interpretation of the ego is that voice that warns us when we could potentially face harm, humiliation, disappointment, or any other form of distress. However, this article does not address auditory hallucinations, which are completely different. Please seek the advice of a mental health professional if you are experiencing the latter. We all have voices in our head that create an internal dialogue that drive us a little crazy. These voices are collectively called our “ego”. Sometimes our ego helps us by warning us of danger. More often than not though, our ego stifles our growth and progress through its incessant negative and disparaging comments. It often puts us down, tells us we’re not good enough, says we’re incapable of doing something or being someone, and reinforces our fears and self-doubt. The end result? Total paralysis or feeling “stuck” so we can never really move forward with our lives or go after our dreams. This article will show you how to put your ego in its place so you can finally step into the incredible person you were born to be! The ego serves a purpose. That voice in your head has been around since humans could first walk. We evolved that voice for a reason; that is, to ultimately protect us from harm. However, today there are no saber-toothed tigers lurking around corners waiting to chomp our heads off, so this protective mechanism doesn’t serve the same purpose in our modern world. These days our ego chimes in whenever we are facing any unfamiliar situation. e.g., when we want to take a big risk and start a business but our ego says we’ll fail, or when we get ready to ask for that raise at work but our ego says we are not worthy, or when we want to find that dream relationship but our ego says we’re not good enough for him/her, etc. Our ego wants to offer its two cents to help save us from humiliation, disappointment, and the self-criticism that happens from “failure” or rejection. It’s great that our ego “has our back”, but the problem is it usually ends up convincing us to not take that risk at all because of the potential negative repercussions. Real growth, progress, and fulfillment come from taking risks and getting out of our comfort zone, which the ego hates! It’s important to understand where your voice comes from or who its “influencers” are because it will help you realize that these voices are not your own! When you hear this voice, who does it sound like? Does your ego say things that your parents told you while growing up? Has your ego been influenced by a traumatic or humiliating event in your life? See if you can identify similarities between your ego and the people in your life. Once you can see these links, acknowledge this fact and realize that the ego’s voices are always influenced by an external source; it is not who you are or who you could be! At first blush this fact may sound hopeless or depressing, but if you accept this then you can stop resisting or fighting your ego but instead choose to simply not listen or believe it. What a relief! It may also help to know that our awesome self-help idols like Marianne Williamson, Eckhart Tolle, and Marie Forleo all have that voice in their head but have learned how to put it in its place, and so can you! 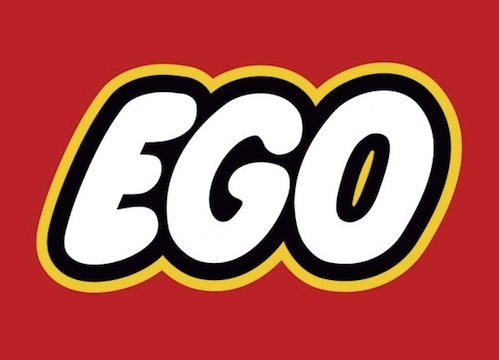 Naming your ego will help you disconnect your identity from it. It also adds some humor to this whole concept, which will make it so much more fun! I have a few fond names of my own: the soul sucker, dream crusher, gremlin, or one of my absolute favorites: that crazy b**ch! Realizing it has a separate identity from you is helpful in acknowledging that what it says is not who you are. So choose not to listen to it. I’m a huge fan of getting our groove on when the voices in our head begin to torment us. So turn up the music and dance! Or try exercising. Go for a walk or a hike. Just do something physical so you are not sitting there and yielding to those negative voices. When your ego starts yapping away and causes all sorts of fears, anxiety, and stress, turn your attention inward. Notice how your body feels. Pay attention to your breath. Listen to your inhales and exhales, but also feel the air going through your windpipe and into your lungs, and then back out. Feel your body and notice any tension, particularly in your chest or stomach. Being “present” will immediately get you out of your head. Practicing this will help you quickly recognize when your ego is steering the ship so you can take back control of your thoughts and feelings! Step 3: Embrace your inner Heroine/Hero! At this very moment, within you there exists a brave, feisty, confident, and unstoppable Heroine/Hero. A superhero who has all the talents, skills, and abilities to create anything you could possibly want for yourself. All you need to do is remove the ego, the negative thoughts, and the self-doubt that mask your inner superhero. Turn up the volume on your inner warrior to help you overcome any challenge or obstacle that stands in the way of you creating an amazing life for yourself. Now that you know how to put your ego in its place, it’s time to bring out this superhero and start taking bold action on your life! I know you can do this! This week’s challenge: What does your inner Heroine/Hero look like? Share with me in the comments below! Chinh Pham is fear conqueror, life coach, Hot Hula Fitness instructor, wellness guru, and lover of life! 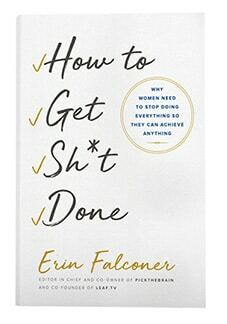 She helps people in their 20’s and 30’s embrace their inner Heroine/Hero to become badass in their life and career. To learn more about Chinh, check out her virtual home, Facebook, and sign up for FREE updates here!